Exporting to over 50 countries we continue to grow, thrive and lead in the industry we love, and we have a full time vacancy in our expanding Customer Service and Operations team. The role is diverse and interesting with no two days being the same. You will need to learn all about our huge range of products to be able to answer a wide variety of questions along with offering support to our sales team. Knowledge of Sage, Orderwise, Microsoft Outlook, Excel and export paperwork would be advantageous, but more importantly we are looking for the right personality to fit our team and look after our customers. We will of course provide lots of training on our products and systems plus unlimited espresso, hot chocolate and smoothies! We are a small team that thinks big so the most important part of working here is that we are willing to help each other. We are a fast growing independent company who have been trading 20 years now. This role will continue grow and develop, so you will be willing to as well. Are you looking for a new challenge? 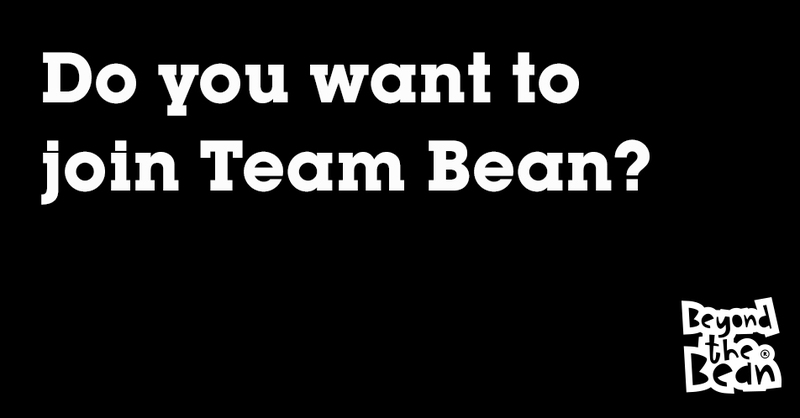 Do you want to be part of the Beyond the Bean family? If so please send your CV to careers@beyondthebean.com telling us not only about your relevant experience but also why you are the person we are looking for. No agencies please.